Ever heard of ice cross downhill racing? 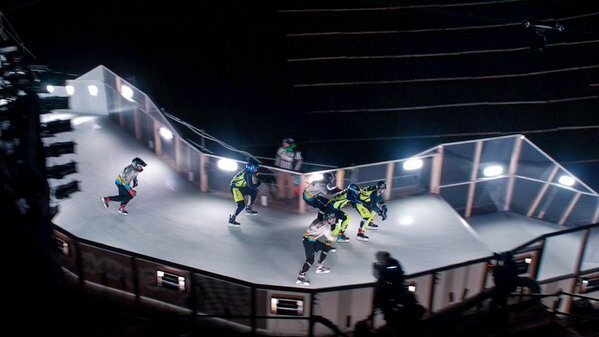 If not, this is the short story: a hybrid version of ski cross but with ice skates instead of skis and instead of snowy slopes, an ice track that incorporates some of the best elements of freestyle skiing – jumps and gaps, twists and turns and extreme speeds often exceeding 50km/h. Crashed Ice is the name of the ice cross world tour, run and organized by Red Bull since 2001, pitting athletes who often have a lifelong background in related sports like ice hockey, against each other in adrenaline pumping races lasting barely more than 20 seconds, yet packing enough excitement and energy for a month. Travelling from Moscow through Munich, to Quebec, each stop of the tour is an opportunity for racers to collect points that count to the final goal: the World Championship title. 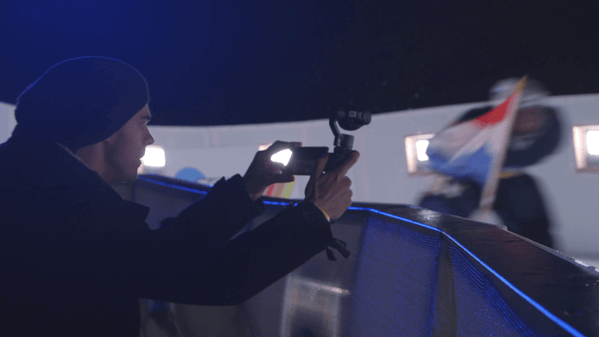 Wanting to experience it with our own eyes and share the incredible experience of this innovative sport to the world, we traveled to Munich to capture the race with the latest in cinematographic technology — the DJI Inspire 1 Pro and the Osmo. As the world's first M4/3 aerial camera and capable of shooting and broadcasting 4K video, we used the Inspire 1 Pro to stream live to the large on-site displays for the audience to be able to follow the race from perspectives never seen before. Thanks to the robust Lightbridge transmission system built into the platform we could also simultaneously stream to Red Bull TV for audiences around the world to follow the races from home. We also got the perfect chance to put our new compact handheld camera system -- the Osmo! — to the test by using it to capture the races in multiple ways. One of the riders took an Osmo along for his ride to capture it from a first person view and give viewers and audiences an immersive experience that until recently has not been possible to capture as he jumped and sped through the slopes. A second view was given by our camera crew who were spread out along the track, capturing the race from the sidelines. After the race, we used the Osmo when interviewing the athletes about their performance and their experience being at the event, and in turn demonstrating how the Osmo can work as a complete system for mobile creatives with a need to capture high quality video on the go. 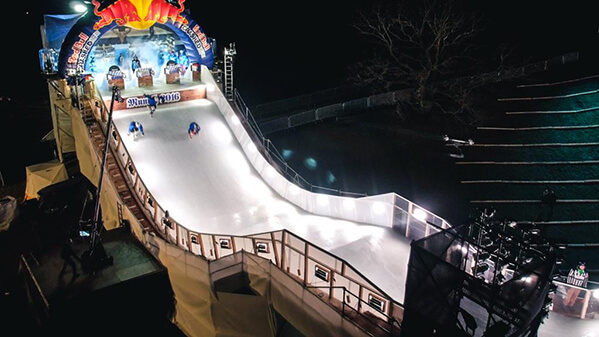 Want to know more about the Red Bull Crashed Ice and ice cross skating? Good! All of the going-ons that we captured at the Munich event is currently being edited and will become a DJI Story, due for release in the near future. Subscribe to DJI Stories on YouTube and stay tuned to learn all about the coolest new winter sport!